Two weeks ago Microsoft announced Azure DevOps. Azure DevOps is a name change and rebranding of the product Visual Studio Team Services (VSTS). 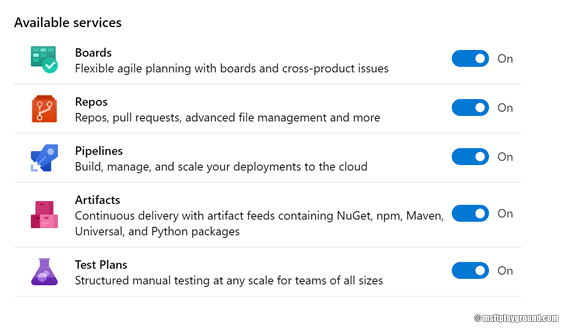 The Azure DevOps service consists of more than 15 years experience in software development services from TFS (Team Foundation Server) to Visual Studio Online to Visual Studio Team Services to Azure DevOps. Visual Studio Team Services was linked to Visual Studio by name what was a bit confusing for a lot of organizations. With the name change Microsoft really confirms the fact that Azure DevOps is a service for every language, framework and platform. Boards: Track tasks and work items using Kanban boards, team dashboards and custom reports. 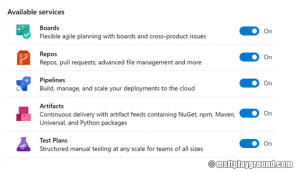 Test Plans: A service launched with Azure DevOps, that provides a browser-based test management solution for exploratory, planned manual, and user acceptance testing. Besides the five separate services the service still has the default overview items like the dashboard and the Wiki. The DevOps service can be used where it is really needed. You are able to choose the services that have an added value. The choice for services will not have an impact on the existing (software) development process. For example, Github is used for code repositories. These repositories can be linked to Pipelines for the build and deployment process. Another example, is the use of the Boards functionality to plan and follow up tasks, but save the code in another or maybe a existing repository. Blog orginally published in dutch on the website of 3fifty. If your are based in the Netherlands take a look at the 3fifty kickstarter training for Azure DevOps.